Brian Fisher Print, Paint and Assemblage Blog: Thanks and Come Again! Dear friends, family and all of you that found your way to my studio for the first time on the Vashon Island 2012 Holiday Studio Tour, Thank You! I always enjoy seeing everyone and this year so many new people found their way to my studio door. 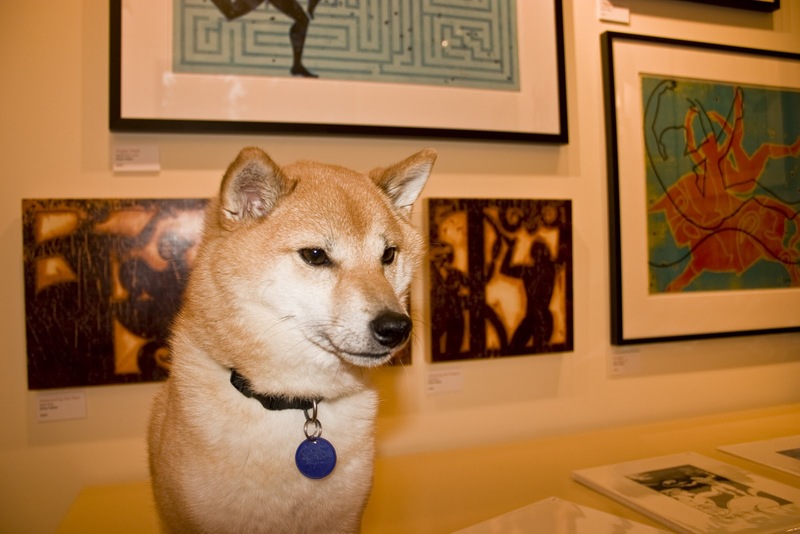 Aki, our Shiba Inu, spends a lot of creative time with me. This year she was the official, sometimes vocal, greeter of guests during the tour. Typical of the breed, she has opinions about everything and everyone. I know she enjoyed the tour as much as I did and is missing the attention. Thanks so much and come again!